TLANTA -- At 7:30 each morning, Sister Mary Edwin pushes her pill cart down the parquet hallway of the men's floor. Each drawer on the cart is marked with a name and room number. Dominic in 101 needs his heart medication and something for the pain. Sister Edwin grinds tablets with the back of a spoon and mixes the powder into a taste of applesauce. John in 108 needs some medicine put in his eyes. She squeezes a dropper and wipes his cheek. She writes everything down. One black pen (dosages) and one red pen (notes) taped together. She washes her hands in hot water after visiting each bed. Meet the sisters and residents of Our Lady of Perpetual Help Home as they spend an afternoon at a Braves game. Sister Edwin moves from room to room, singing show tunes. She laughs the laugh of a right jolly old elf. She jingles her rosary beads the way a maintenance man jingles a ring of keys. She perspires at the lip and brow, hustling from patient to patient. "Is your sister back from Florida?" she calls to one. "How are you feeling? Did you watch the Braves game last night?" she asks, rubbing the toes of another. "Nice and easy, take it slow," she says, cupping her hand behind the palsic head of a third, whose mouth has become too dry to swallow pills. A Hawthorne Dominican's apostolate dictates contemplation and service to the cancer-stricken poor. She does not proselytize or preach. Her faith is her work. She does not turn her back or recoil at the sight of suffering. Her faith is the touch of her hand, the comforting sound of her voice. The efforts she makes to know a patient, to be a friend in his last days, to soothe and comfort, are the terms of her devotion to God. Sister Edwin's mission, Our Lady of Perpetual Help Home, is a haven for terminally ill cancer patients founded by author Nathaniel Hawthorne's daughter Rose in 1900. The home opened in Atlanta in 1939 on the grounds of what had once been a Jewish orphanage and has run on private donations ever since. In a two-story redbrick building eight sisters who live in residence and a staff of 22 attendants provide palliative care to as many as 28 patients at a time. The rooms are bright -- tall broad windows looking out on green grass, oaks and rose gardens; polished floors, patterned bed covers, cut flowers in small glass vases, and magnetic Braves schedules stuck to doorjambs. The hallways are busy. Joseph, one of the attendants, pushes a breakfast cart and sings an old Manhattans tune -- "Honey, you are my shining star, don't you go away." Sister Rosemary and Sister Augustine stand near the second-floor nurses station and talk about the Braves' victory over the Mets the night before. "We celebrate life here," Sister Rosemary says with an indefatigable smile. "Big time." Sister Mary Edwin talks baseball with the residents of Our Lady of Perpetual Help Home, giving them a much-needed distraction. Through a wall of stained-glass windows on the north side of the hospice chapel, you can hear the sounds of nearby Turner Field, the home of the Atlanta Braves -- a young girl singing the national anthem, the crowd cheering for a home run. On warm summer evenings, Sister Edwin sits on the deck behind the home, under the shadow of a sprawling black oak, and listens. The voice of the public address announcer, a vendor selling ice-cold beer, the crack of a bat, the bright boom of fireworks in the sky. She remembers playing stickball as a girl growing up in Cleveland some 50 years ago, and thinks of nights spent sitting on the stoop, a radio perched in her mother's kitchen window and the Indians game coming through the speaker. "Everything feels so close out here," she says, looking up at the ballpark, "that some nights I think I can reach out and touch it." As a girl, Joyce in 204 loved football most of all. Her brother would chuck a ball high in the thick, blue Arkansas sky, and she would run under it, arms outstretched, breathless for the catch. She walks now, every morning she feels up to it. She moves carefully along the path in the yard behind the home and looks up at hawks floating in the air above Turner, banking in the breeze. She imagines their view of the field below, the spectral light in their cathedral. "It must be beautiful," she says. "They're so free up there." Mr. Harding in 105 played trumpet in the high school band. He stood tall in his uniform. Shoulders back. Bell of the horn toward the sun. Knees high. White spats over his black shoes. Now, at 67, sitting outside with his daughter Tonja, he wears brown slippers and sips a fruit drink through a straw. "My keen interest, even as a young man, was in the church," he remembers. "But marching in that band, stepping high in that grass, did feel sweet." From inside the chapel walls, you can hear the sounds from the ballgame at Turner Field next door. In the early '40s, when his daddy got drafted and sent overseas, Bobby Dews went to live with his grandparents in southern Georgia. On lazy afternoons, he would sit on the floor by his grandpa's reading chair and surround himself with books off the shelf: "The Sun Also Rises," "The Sound and the Fury," "The Great Gatsby." The stories were sanctuaries. The words were passports. The time, cross-legged at his grandpa's knee, was sacred. "The first book he ever gave me was the life story of Johan Sebastian Bach," Bobby says. "I remember holding it across my lap, turning those yellow pages. I remember thinking I wanted to be in a book some day. I wanted to be great. I wanted to make something of my life." When his daddy came home and started playing minor league ball again, 8-year-old Bobby went on the road with him as a batboy. His daddy was a catcher, still hoping to get a shot in the bigs, and a sometimes drunk, often sleeping away afternoons on a worn-out hotel mattress. He'd send Bobby down to the lobby to get meal money from the team manager. The manager would turn Bobby down cold, tell him to go tell his daddy to get up out of bed and get his own money. 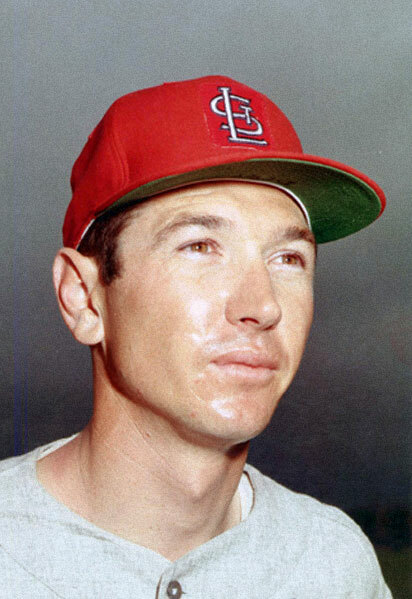 Bobby Dews played 10 years in the Cardinals' organization, but never reached the major leagues. "And I'd say, 'Please, sir. He's not coming down. And if you don't give me the meal money, I won't have anything to eat all day,'" Bobby says. "I guess that's where I first learned to act." Bobby grew up to be an infielder. He played 10 years in the St. Louis Cardinals' minor league system but never quite made it to the show. Later, he became a minor league manager, also with the Cards, and held several minor league positions with the Braves. In 1996, in the middle of Atlanta's historic run of division titles, he was named third base coach at age 57. This was going to be his big chance. To be great. To be the man. To run the show. His old friends Gene Lamont and Jimy Williams had gotten their shots to manage at the major league level after they became third base coaches. He was so close he could taste it. But it didn't play out that way. He was demoted to bullpen coach at the start of the 1999 season. In 2006, he was named senior major league adviser. "They put me out to pasture," Bobby says. "They phased me out." He had cost himself chances over the years, and he knew it. Sober now for almost 20 years, Bobby had begun drinking heavily while managing clubs in Cedar Rapids, Iowa, and Modesto, Calif., in the early 1970s. He drank the way his daddy drank. He drank wanting to be something he wasn't, wanting to be the center of attention. He drank hoping to deaden anxiety. He drank wanting someone to love him. 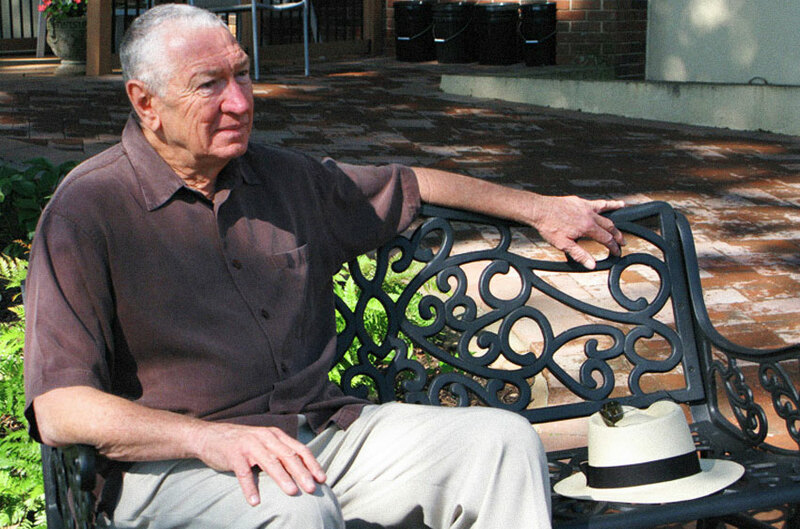 He drank until current manager Bobby Cox, then the Braves' GM, finally confronted him and took him to a 28-day rehab program on St. Simons Island in Georgia. "As far back as I can remember, ever since my parents divorced when I was a boy, everything I did came out of a fear of being rejected," Bobby says. "And there I was in '99 in the bullpen, rejected. Angry with myself. Sorry for myself." So he took up running. It didn't help much. He ran from something. To something. He ran with a watch on his wrist, timing himself, morning after morning, remembering Faulkner's line in "The Sound and the Fury" about time being the "mausoleum of all hopes and desires," feeling like he'd been running all his life, feeling like his time had passed, feeling like he was dying inside. And then one day eight or nine years ago, instead of his usual route to the east, he ran out of Turner Field and south down Crew Street, along the back side of Our Lady of Perpetual Help. A giant tree out back of the home caught his eye. He ran around front and walked in, not knowing why. Sister Edwin thinks God gave him a nudge. Bobby says it felt like a homecoming: "It was like they were expecting me." He saw patients being spoon-fed, propped up and cleaned. He saw them struggle to open their eyes and speak. Now he understood: This was dying. He saw the sisters wiping brows, holding hands, whispering prayers. He saw them walk into every room with a smile and provide some measure of comfort to the patients and their families. This was acceptance. This was love. This was good work. This was time well spent. "I think it must be what heaven is like," Bobby says. "I think the sisters give patients some glimpse of it. They let them know they're going to be taken care of on the other side." He began stopping by every day. He sat in the garden. He looked upon statues of Mary and Jesus. He knelt in prayer in the chapel. He walked the halls with the sisters and heard their stickball stories. He visited with patients, told tales of his baseball days, and promised to take their bits of advice back across the way to Chipper Jones and John Smoltz. He slowed down. Quit chasing quite so hard. Stopped wanting quite so much. He could feel the layers of disappointment peeling away, could sense the mask dropping from his face. "When I walked through the door I began to see things differently," Bobby says. "There was an ambience inside these walls, a sacredness." Sitting in the garden behind the hospice, Dews has found solace in his regular visits to Our Lady of Perpetual Help. The season is long. You play every day. They clean the field each night. They prepare the field each morning. They drop fresh white chalk down the lines. "No matter what happened yesterday," Bobby says, "there's another ballgame today." He is sitting on a bench beneath the black oak in the yard behind Our Lady of Perpetual Help. He sets his straw fedora beside him and looks up at the tree, dappled light on his cropped silver hair. 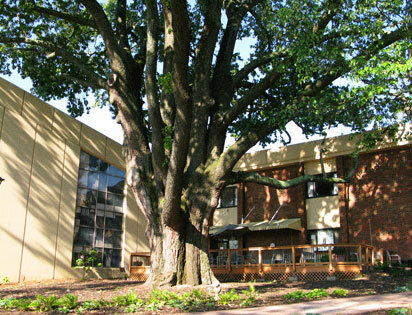 Nearly 300 years old, the oak tree at the hospice has tapped into a wellspring. Nearby, Mr. Harding in 105 reclines in his chair beneath the canopy, his chest rising and falling in the easy rhythm of sleep, golden specks of pollen falling on his shirt. The furrowed trunk of the oak twists out of the ground like a giant bridge cable. Its branches, the fingers of an outstretched hand, reach high up and over the roof of the home, shading the deck to the west and the stained glass window of the chapel to the south. Leaves whisper and sparrows whistle. Less than 200 yards away, cars and trucks churn down Interstate 85. The tree is nearly 300 years old, among the oldest of its kind in Georgia. In this place where days are numbered and memories are fleeting, it abides. In this place where bodies grow weaker, it thrives. It drinks roughly 450 gallons of water a day. Somewhere dozens of feet below the surface, it has found a stream. In this place where the mission of the sisters is carried out in a thousand small gestures of kindness practiced and repeated in the care of each new patient, it taps a source. "We're built on a wellspring," Bob Whitaker, the hospice building manager for the past 23 years, explains. "How perfect is that?" The season is long. You play every day. Bobby brings caps and T-shirts. The sisters keep the souvenirs in a display case in the first floor dayroom. He brings Cox by to visit sometimes. And he leaves tickets for weekday afternoon home games. Sweet seats behind home plate. On a recent Tuesday in May, the sisters, the patients, family members and the home's volunteers form a wheelchair parade en route to Turner Field, stopping traffic like Robert McCloskey's ducklings, brave and giddy at the prospect of adventure. Drivers wave from rolled-down car windows. Fans walking toward the park shout "Go Braves!" in support. Sister Rosemary, her crabapple cheeks running red, echoes them, and Sister Augustine, with a fielder's glove on her left hand, waves her approval. Mabry in 105 corrects the count in the first inning, speaking authoritatively to no one in particular. "Should be 2-and-2," he says, then nods when the scoreboard makes the change. 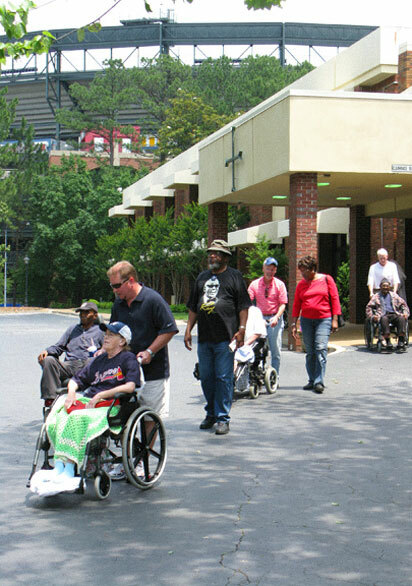 The wheelchair procession makes its way to Turner Field for an afternoon game in May. Mr. Spearman in 104, at 97 the oldest of the patients at the home, is less concerned with balls and strikes. He's in it for the grub. "He's our eating machine," Sister Augustine says, watching him dig a spoon into a helmet sundae. Mr. Harding in 105 sits with Tonja and his older brother, Charles, who wears a cotton fishing cap high up on his head, the way Thelonious Monk used to, too loose to be tight. Charles has a sly smile on his face. He looks out at the field. He looks at his brother -- his high cheeks and gray mustache tucked under a weathered blue ball cap, eyes closed, shoulders curled forward, hands, still, in his lap. "He's happy right now," Charles says. "Just feeling this place. He's quiet, but this means a lot to him to be here." Mr. Harding has lived the past 18 months in examination rooms and on operating tables, trying to turn back the onset of colon cancer. It's come fast and mean. Just yesterday he was a knight in shining armor, always holding the door for his wife, Wendy, bringing her flowers, wrapping his arm around her waist when she got a chill. Now he is the one with the shivers, the one being waited on, the one everybody worries about. Except for today. Today, for a few hours, he's part of the crowd, just another fan watching Tom Glavine paint the black, just another daydreaming kid picturing himself running hard from first to third. "We used to play sandlot near where we grew up, right here in Atlanta," Charles says. "You should have seen him. He could fly." Michael, one of the attendants at the home, takes Dominic in 101 to buy a hat. "I'm a White Sox fan," Dominic says, "but I'll wear this today ... as long as it's not a Cubs hat, we're OK."
Bobby stands behind the patients, explaining to Sister Augustine that, if it were him, he wouldn't have Carlos Delgado hold Mark Texeira on first with Brian McCann up. Martha in 201 wears a Braves cap and a Smoltz jersey and politely but unmistakably chops the air with a little foam tomahawk during every Braves at-bat. Late in the game, her son Greg brings her a swirl of cotton candy on a cardboard stick, and they laugh as it clings to the tomahawk. The Braves have a five-run lead with two out in the ninth inning and most of the other patients already have gone back to the home. Martha won't budge. She claps as closer Manny Acosta, after giving up two hits, finally gets the last out on a ground ball to second. She lifts both her arms in the air and holds the pose as long as she can. Greg steps behind her wheelchair, his hands on the handles, and leans in to ask if she's ready to go. She holds up the tomahawk like a stop sign. Not yet. She's a baseball mom going way back. She logged countless miles and spent untold hours watching Greg and his brothers swing for the fences. Maybe she's thinking about that. Maybe she's teasing Father Time, hanging onto a moment. Maybe she's wondering about the difference between what Glavine already knows and Acosta still has to learn. "OK," she says after a minute or two, and Greg turns her chair toward the elevators, their backs to the field. Later, in her room, Martha sits on her bed and brushes her hair. Her thin pink hands shake at the effort. Her cap is on the nightstand, hanging over the corner of a picture frame. "It was a wonderful day," she says. "Being there with Greg was so wonderful." And then, as if maybe she thought the game had healing powers, as if it were more than a sweet exception to the rule of her prognosis, or maybe just as if its pastoral sights and sounds had made it seem as if hope -- in the most beautiful, most rational way -- was all that was real, she smiles and says: "I hope to get back there sometime soon." Greg Carswell drove down from Alpharetta, Ga., to surprise his mom, Martha, by joining her at the game, an opportunity he described as "a diamond in the rough." Joyce in 204 remembers coming downstairs for Thanksgiving dinner soon after she arrived at the home. She put on her best beige pants and a copper V-neck sweater. She did her hair (not so gray as it is now) and made up her face (not quite so pallid). Then she arrived in the day room to discover she was the only patient in the home at that time able to walk on her own. Everyone else was in a wheelchair or lying in bed. She had sold real estate for 27 years in Atlanta, had been a flight attendant before that. She liked to hike and hunt and fish with her brother. "It felt like a door slammed," she says. "It suddenly hit me that I wasn't going to turn the corner on this thing [colon cancer], that I would never be going home." 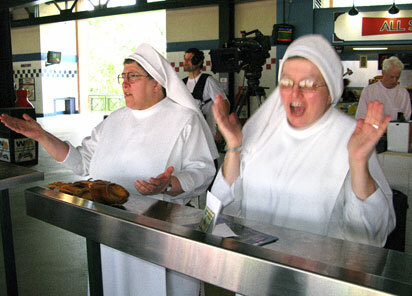 While Sister Rosemary, right, cheers for the Braves, Sister Augustine, a longtime Mets fan, is not nearly as pleased. Sister Augustine, a no-nonsense, Brooklyn-born Mets diehard, remembers when Joyce didn't know the first thing about baseball and didn't care. She knew she needed to change that. She sat by Joyce's bed, turned the TV on and pressed the point, explaining situations and talking about players. "I poked at her some and told her how great the Mets were," she says. "After a while she came back at me -- she loves Atlanta, so she took up for the Braves. Now she knows more about them than I do." The game became their shorthand, a safe language, a familiar routine. If the Mets win, Sister Augustine comes in gloating. If the Braves win, Joyce sits up in a chair waiting on her. "It's something to look forward to," Joyce says. "It carries us from one day to the next. I'm not thinking about being sick or even about myself at all when the game is on. I'm thinking about the two of us giving as good as we get." Sister Augustine comes back from the ballpark with bags of peanuts for Joyce's grandchildren, Hunter, 13, and Savannah, 6. Joyce hugs her in thanks. They don't say much, not even about how badly the Braves have beaten the Mets. They don't talk about how their playful jabs take the place of what might be Joyce's real sadness and anger, how they almost make it possible for her to stand the curious worry in Savannah's face and the knowing fear in Hunter's. They don't say Joyce feels frailer than ever in their quick embrace. They don't say maybe these will be the last bags of peanuts. They don't talk about how Joyce came into the home with just 45 days to live 14 months ago. They don't wonder aloud whether the unlikely connection they've shared has meant the difference. And they don't tell each other how much they're going to miss it. "We'll get you next time," Sister Augustine says. "We'll see about that," Joyce counters. 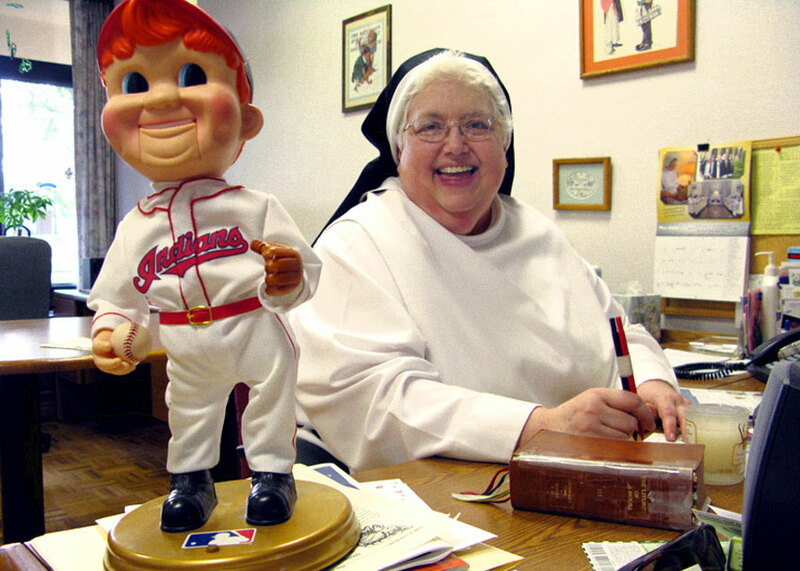 Sister Augustine returned from the ballpark with a few bags of peanuts for Joyce to share with her grandchildren. A framed quote from Catholic author Thomas Merton sits on Sister Edwin's desk at Our Lady of Perpetual Help: "A saint preaches sermons by the way he walks and the way he stands --the way he picks things up and holds them in his hands." Mr. Harding in Room 105 is joined by his daughter, Tonja, left, and brother, Charles, as they make their way to the Braves game. 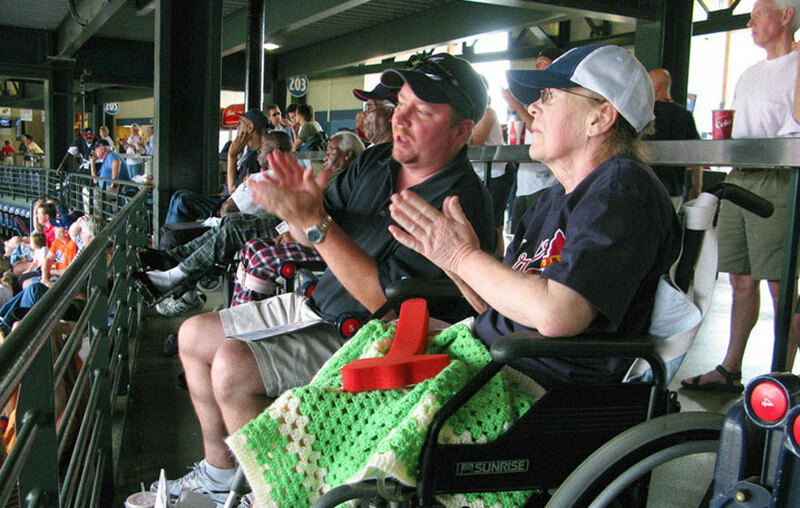 She describes the way the patients buzz with stories for days after a visit to Turner Field. She talks about Martha in 201, how even a broken hip couldn't keep her from a day at the ballpark. She taps her fingers on the capped head of an Indians bobblehead beside the Merton frame, her smile matching the cherubic grin on the doll. "We get so much out of this," Sister Edwin says. "Their brave suffering. The way the patients live. It strengthens our faith." It's the morning after the game at Turner Field, and Mr. Harding in 105 wants to say something. He leans forward in his chair on the deck and whispers, not because he has a secret but because it's getting harder to speak. "I haven't written this down," he says. He pauses. He closes his eyes. He's sleeping maybe, gathering himself. "Things are happening in a harmonious fashion," he continues. He licks dry spittle from the corner of his mouth. Breathes deep. "What's happening to me is revolutionary. There is no left turn, right turn. No then and now. It's all merging. Things coming in and going out." Early this year, before his last surgery, before he came to live at the home, Mr. Harding planted a vegetable garden with his grandchildren, Caleb, 8, and Hope, 4. They planted carrots, okra and garlic. The children have been tending the soil ever since. Sweet, gnarled orange roots and Hope's smiling face. Caleb standing tall and proud, clutching the greens of a young garlic bulb. Mr. Harding points a trembling finger at the photo of the boy. "He plays baseball. They call him 'Clutch.'" 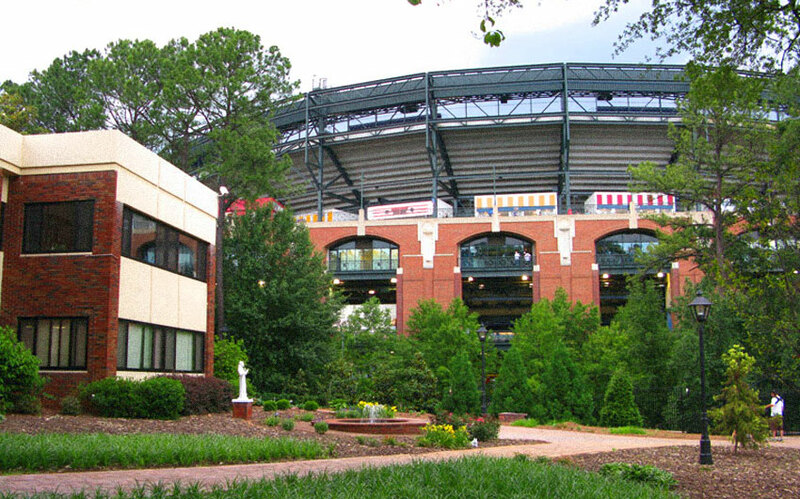 He looks out through the garden behind the home, looks up at the brick and beams of the ballpark next door. He would have loved to have been with Caleb yesterday. Maybe he was. "Write this down, will you?" he asks. "I'm not looking for any closure. I'm truly blessed." 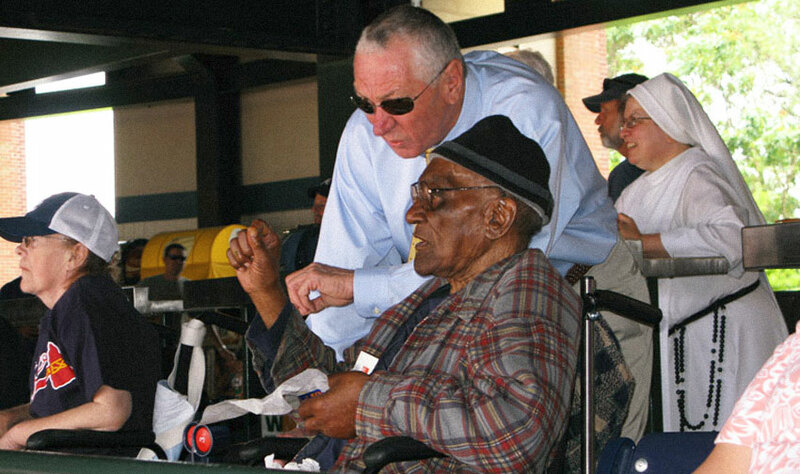 Dews leaves tickets at the hospice, allowing residents like Mr. Spearman to enjoy a day at the ballpark. Bobby Dews crouches in a ball on the driveway in front of Our Lady of Perpetual Care, his hands wrapped around his shins, his head pressed against his knees. "This is the only stretch you ever need," he says, slowly rising, straightening his legs to standing. "You begin as a baby in your mother's womb, in darkness and afraid. You feel the first touch of light and you open yourself up to it," he says, spreading his arms slowly as if to embrace you. "You grow, day by day, you reach, like a sapling, toward the sun," he says, bending backward at the hips, arching his back. "You rise and you feel the heat and the glory of the sun and this is your life, your zenith, you tip your face to God," he says, shaking at the strain of his pose, holding it, tilting his pink pocked nose toward the blue above him, eyes closed. "And then, as the sun begins to set, you begin to return," he says, bringing his arms in toward his trunk, bending his knees, lowering himself back into the crouch. "Your time is coming to a close. You go back to where you began," he says, his head bowed on his knees once more, "only this time maybe you're not quite so afraid." Eric Neel is a senior writer for ESPN.com and ESPN The Magazine. 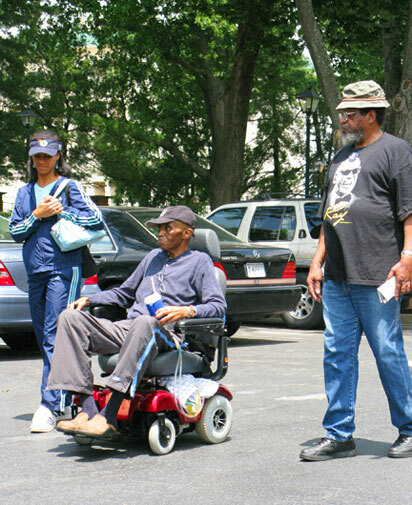 Donations to the hospice can be sent to: Our Lady of Perpetual Help, 760 Pollard Boulevard SW, Atlanta, Georgia 30315. Atlanta Braves coach Bobby Dews is a writer-in-residence at Andrew College in Cuthbert, Ga. His book "Legends, Demons and Dreams: A Collection of Stories Straight from the Soul" is available on Amazon.com. Join the conversation about "Making Time Stand Still." The hospice and the ballpark share the same neighborhood ... and a very special bond.